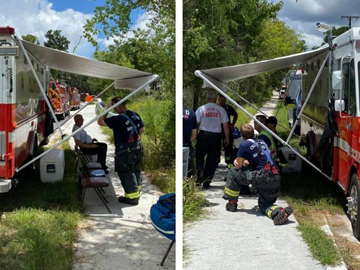 The Volunteer Rescue Squad is a volunteer organization consisting of over 50 members and a medical control physician. 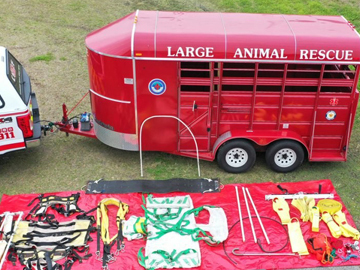 Members are certified in a variety of emergency skills, including auto extrication, fire fighting, structural collapse/urban search and rescue, diving, large animal rescue, rural search and rescue, and high angle, technical rescue. In addition, many squad members are First Responders, EMT's and Paramedics. Q: Why does Charleston County provide money for the Volunteer Rescue Squad if there are no salaries to pay? 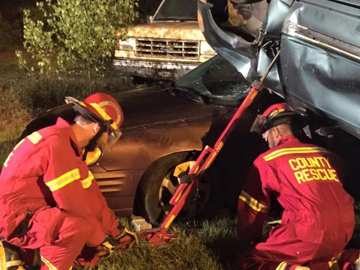 A: The funds provided through Charleston County Government help the Squad purchase much-needed and very specialized lifesaving equipment, such as fire retardant rescue gear, vehicles and air bags for heavy lifting and the "Jaws of Life." In October 1962, S.C. Attorney General granted a certificate of incorporation to create the North Charleston Volunteer Rescue Squad. 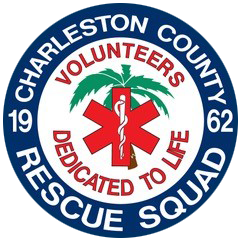 On Jan. 30, 1973, the organization was renamed the Charleston County Volunteer Fire and Rescue Squad, Inc. Currently, the Squad is comprised of more than 50 active members which respond to approximately 1,000 calls per year. 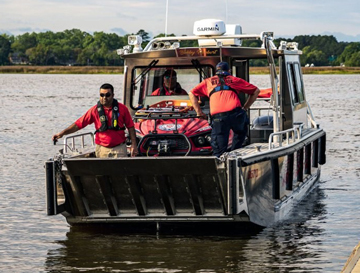 The Squad responds with a variety of light, medium and heavy rescue vehicles, a variety of boats including an air boat and specialty equipment such as side scan sonar. Donations from the community, fundraising efforts and financial support from Charleston County make up the Squad's annual budget, which exceeds $100,000. At its first meeting in 1962, members of the Volunteer Rescue Squad passed a hat. The $3.12 they collected started the group's treasury. In 1996, the Volunteer Rescue Squad responded to 618 calls, representing 33,222 volunteer rescue hours. With additional volunteer hours devoted to training and community service, the total savings to Charleston County taxpayers was $237,668 (calculated at minimum wage).